There are two kinds of Celtic Medieval swords. 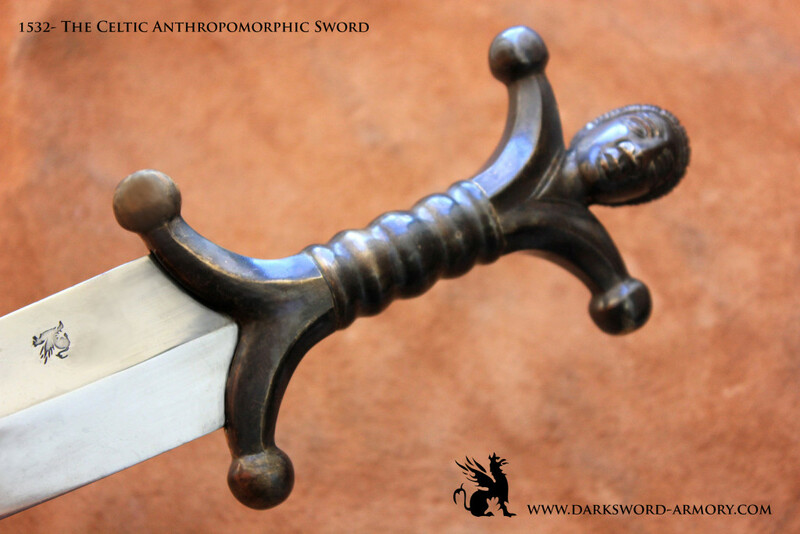 The most common is the “long” sword, usually comprising of a stylized anthropomorphic hilt made from organic material, such as wood, bone, or horn. There are two kinds of Celtic Medieval swords. 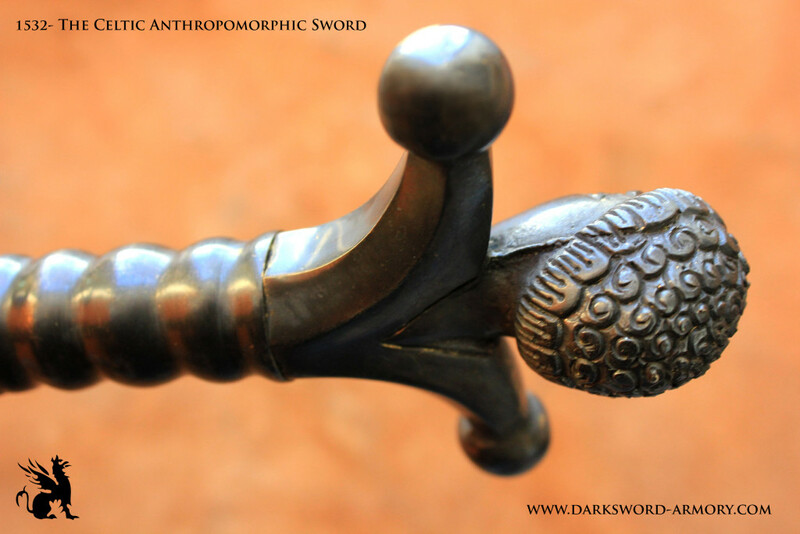 The most common is the “long” sword, usually comprising of a stylised anthropomorphic hilt made from organic material, such as wood, bone, or horn. 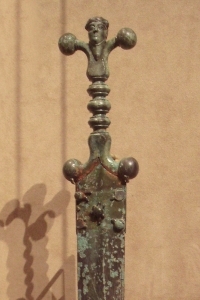 The second type is a “short” sword with either an abstract or a true anthropomorphic hilt of copper alloy, such as Bronze. 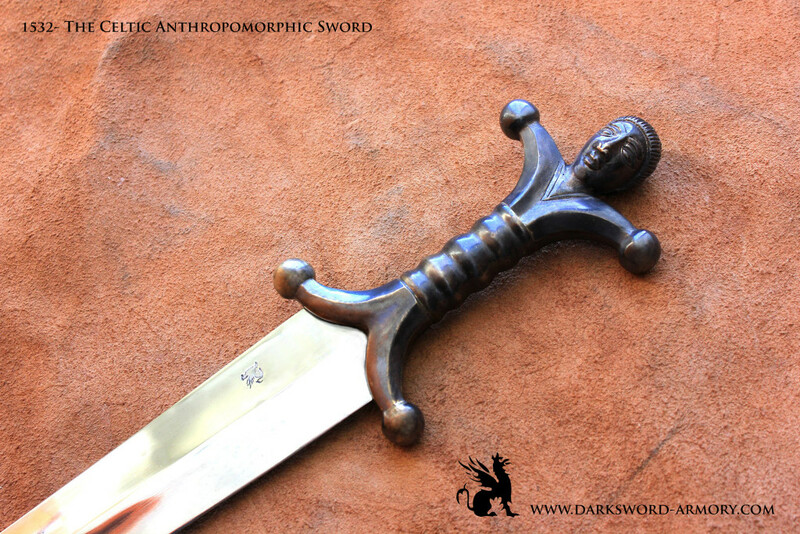 The Anthropomorphic Celtic sword, is of the second type. 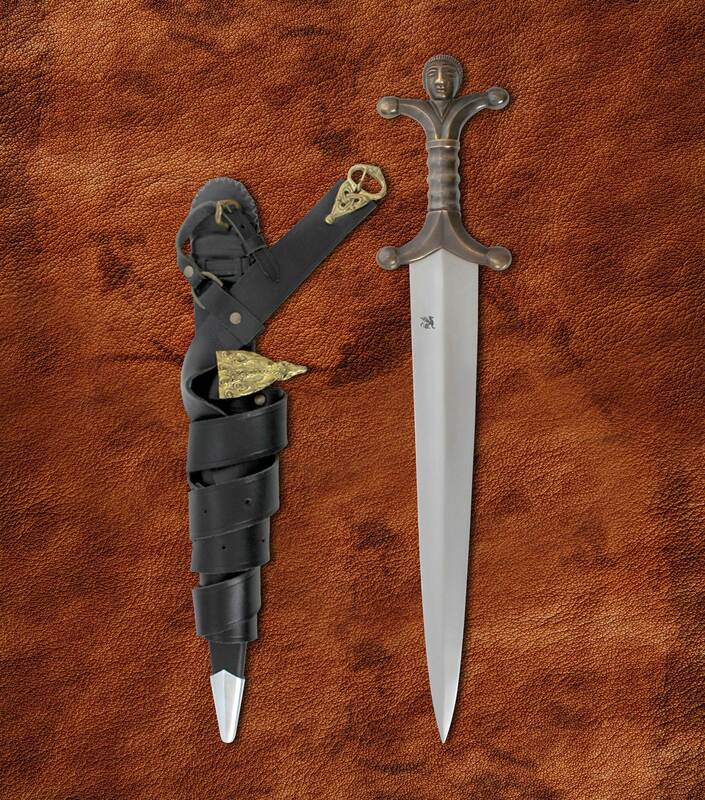 The Celtic sword symbolized power, strength, honor and the ultimate glory in battle. The fine quality and extraordinary skills required to produce these swords rendered them extremely expensive and hence, reserved for the warrior elites and tribal leader. The sword was often buried with its owner or thrown in the ocean as a gift to the gods or spirits. The Celts were a nomadic people who populated Europe and the British Isles from the 5th C., BC to 50 AD. From this diverse group the Scottish, Irish and Welsh cultures developed. Their artwork was distinctive and extended to their weapons. 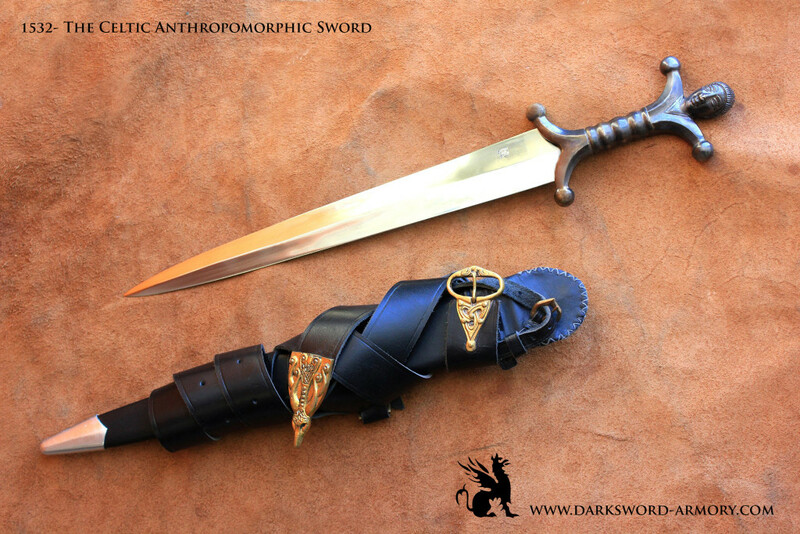 The Anthropomorphic Celtic sword is an example of such. The Celtic sword is a short yet graceful weapon. 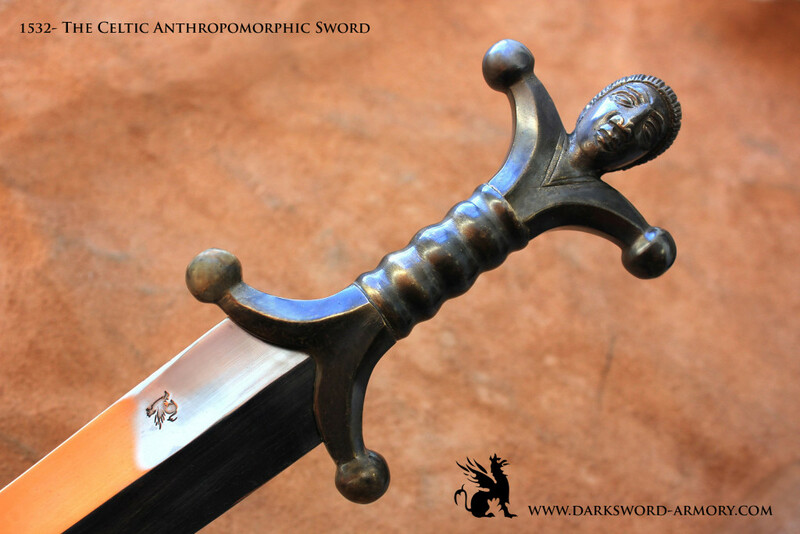 As with all our swords, The Anthropomorphic Celtic sword is hand forged from 5160 High Carbon Steel and Dual hardened to a Rockwell of 60 at the edge and 48-50 at the core. The classic short Celtic diamond shaped blade is and exceptional thrusting weapon which has famed the Celts for their ferociousness and tenacity in battle. 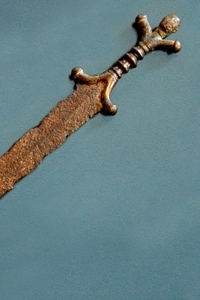 The Celtic Anthropomorphic sword is based on two surviving examples found at the British Museum. Evolving from the Roman spatha, this style of battle ready sword combined a short, diamond shaped blade with a bronze hilt. 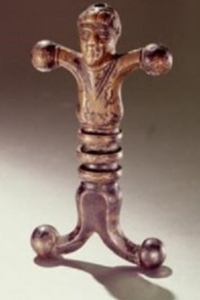 The guard and pommel form the shape of a man, hence the name “Anthropomorphic.” The Pommel is the head and arms, while the guard represent its legs. 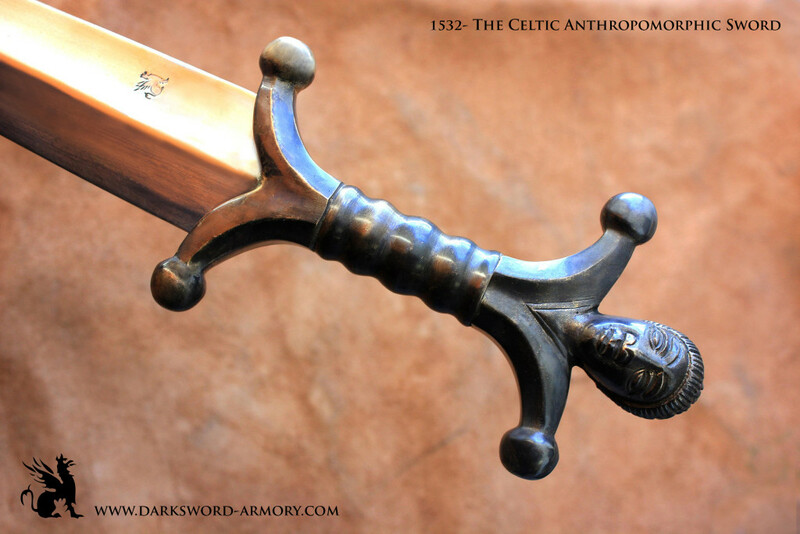 The Celtic sword is a true testament to the Celtic people’s artistic sense and the focal point of artistry which stands at the very core of the Celtic culture. 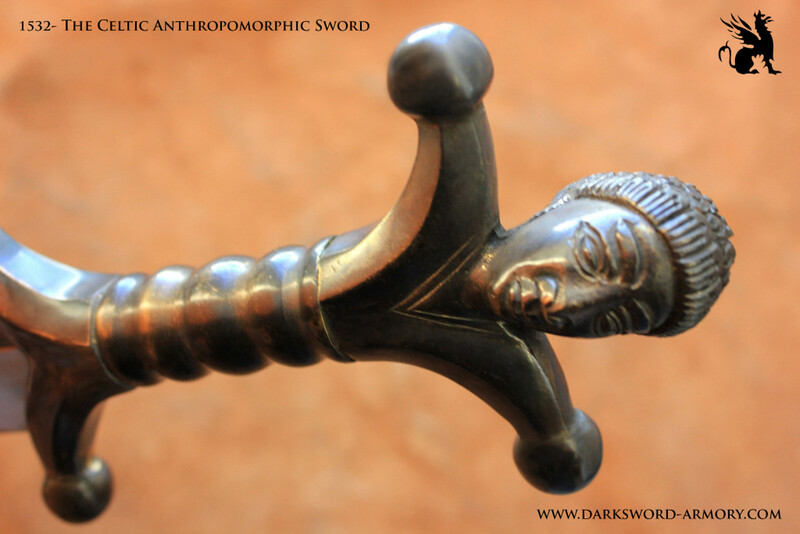 To create the Celtic Anthropomorphic sword, we carefully studied two original examples on display at the British Museum. Given the pivotal role of art for the Celtic people, we felt that our recreation of the sword should highlight this magnificent ability while preserving the swords primary function. Namely, being a well balanced and functional medieval weapon. 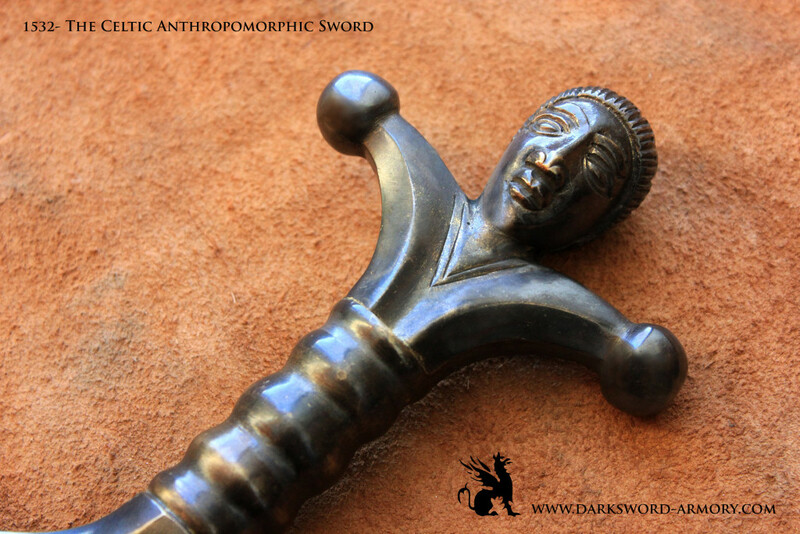 Superbly balanced at the hilt, the Celtic Anthropomorphic sword is not only a work of art, it is a deadly medieval weapon which staved off the Roman invaders through centuries of warfare.